Higgins loves making crafts, so this one was really easy to do. 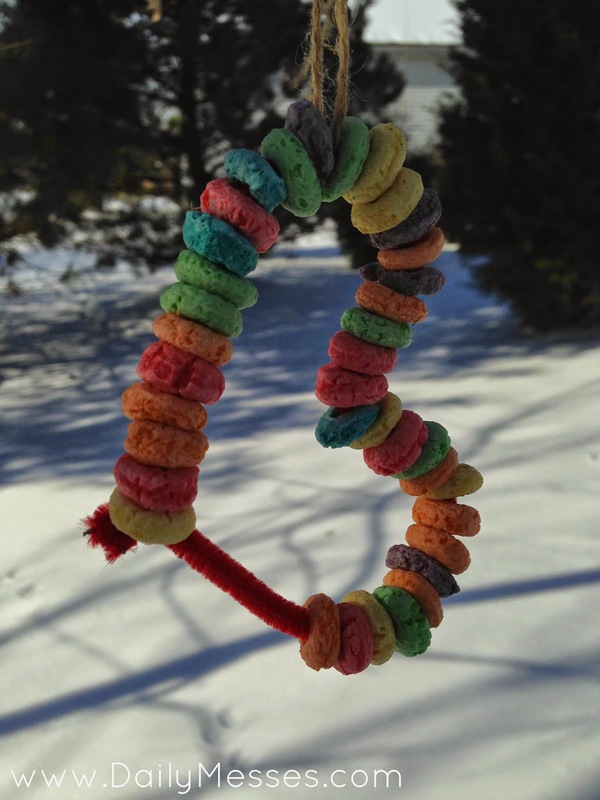 All you need is a pipe cleaner, some Fruit Loops and a piece of twine or string. String the Fruit Loops on and twist the ends together to close it. Shape into a heart and tie on piece of string/twine. Finish by tying to a tree branch!